Brandon Gillin focuses his practice solely on immigration and nationality law including family- and employment-based immigration, adjustment of status, temporary employment visas, citizenship / naturalization, removal defense, and asylum. This sets him apart; many local immigration attorneys practice in multiple areas of the law, which detracts from their immigration competence. Academic achievement is another way Mr. Gillin stands out among lawyers. 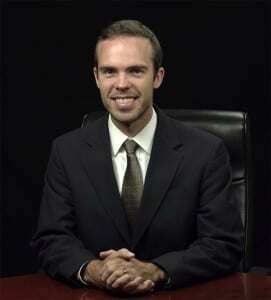 For example, while attending Vermont Law School he was an editor for the Vermont Journal of Environmental Law. Being selected as an editor on a legal journal is considered a prestigious honor, and Vermont Law School ranks # 1 in the country for environmental law. Moreover, one of Mr. Gillin’s articles was published by the law journal; a distinguished accomplishment. Also in law school, Mr. Gillin received the highest overall class mark for his mock appellate brief on an immigration law case. Mr. Gillin’s immigration focus stems from his longstanding interest in international matters, particularly as they relate to China. He lived in Nanjing, China for two years, and later became a research fellow for the USAID “U.S.-China Partnership for Environmental Law”. The fellowship took him to Beijing and Guangzhou, China, where he presented his research to faculty and students of the top-ranked China University of Political Science and Law.